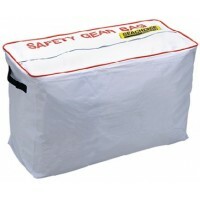 UV resistant marine grade vinyl carry bag. 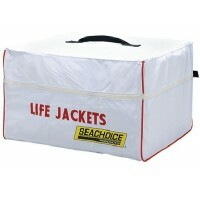 Contains (4) adult sized Universal Life Vests (Type II PF..
Large capacity. Made of heavy duty nylon with red lettering. Non-corrosive zippered top closure and ..